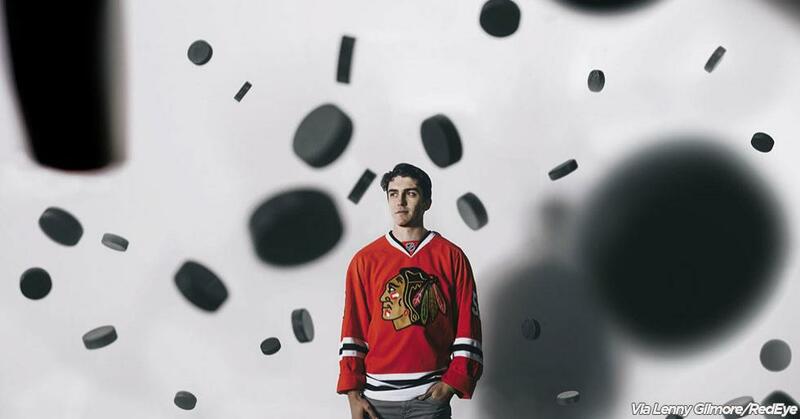 Until last season, Trevor van Riemsdyk's hockey career was marked by a fair amount of uncertainty. Coming out of high school in New Jersey, the defenseman wasn't even sure he was going to play for a Division I team, let alone reach the NHL. Credit Chicago for setting him on the path he's taken since, which includes a Stanley Cup ring he earned in 2014-15. After high school, van Riemsdyk opted to play in the Chicago Showcase (now called America's Showcase), a tournament sponsored by USA Hockey designed to give players exposure to college programs. "Going into that tournament, I didn't really know if I was going to play Division I hockey or not, or what I would do," van Riemsdyk said. "I came out here, we got to go to a game at Wrigley. It was a lot of fun, and obviously at the moment you don't know where your hockey career will go from there, and it ended up leading back here. "It's funny to look back at that and how that tournament and this city kind of changed my hockey career, introduced me to my junior hockey coach which kind of helped show me the way to college."